Description: Does beach chic describe your favored decorating or accessory style? You’ll begin this workshop with a short, guided and ocean-related meditation period. Kelly will show you how this will enhance your creative focus and energy. Your completed 3-D creation on wood or canvas will begin with a simple painted background. 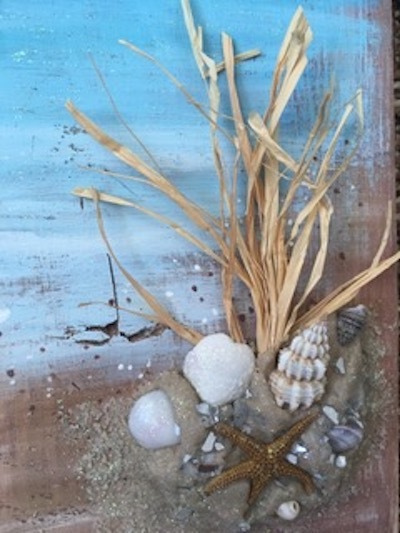 From there you’ll add shells, sand, sea glass and all things beach. The finished product will be your own one of a kind décor piece perfect for coastal living. All skill levels welcome.